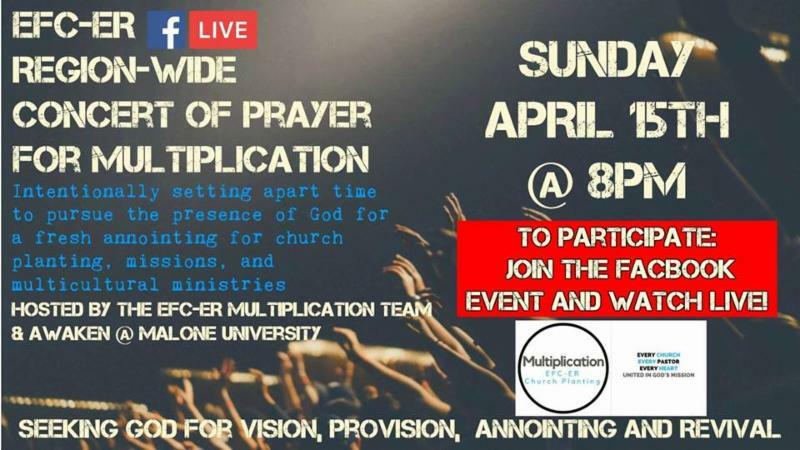 The Multiplication Team will be sponsoring a region-wide concert of prayer on Sunday, April 15 at 8pm in cooperation with AWAKEN at Malone University! This event will be broadcasted on Facebook Live . 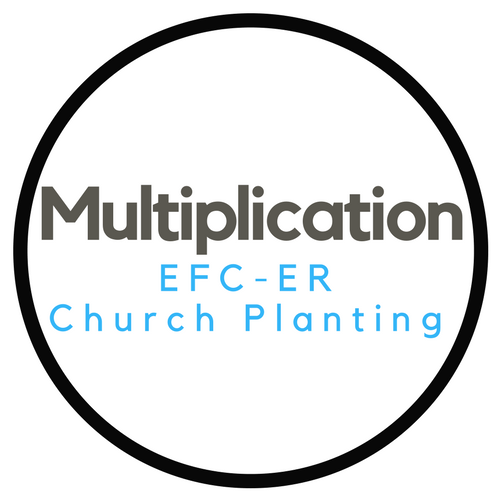 It will be an amazing opportunity to join with others across EFC-ER in prayer for our multiplication efforts. Please pray for this event that God would use it to join many people together in unity as we pray for missions, church planting, and cross-cultural ministries. We are also planning to have another region-wide concert of prayer broadcasted on Facebook Live shortly after Yearly Meeting. On March 10, EFC North hosted a grand opening. It was a celebrative open house gathering. Praise God! 102 people attended, and they estimate around 20 were newcomers and spiritual seekers. Moving forward, EFC North will hold creative, innovative seminars and workshops as well as host gatherings on leadership and parenting. They will offer children's programs and childcare. They are confident that they will receive the proper permit to hold services from the town of Portsmouth on April 19. 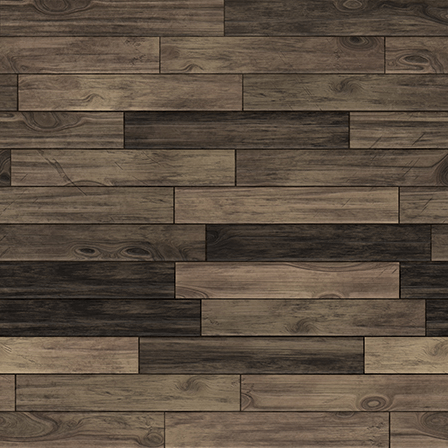 The first worship service is tentatively scheduled for April 28. On Thursday, April 26, EFC North will host a business networking reception for local businesses. This will allow business owners and employees to connect with the mission, vision, and core values of EFC North. Christian Community Friends Church: the main church meets in a space from Orange Friends Church. We have a vibrant Sunday worship service, prayer fellowship on Tuesdays, and youth, house, and women's fellowships on Saturdays. Pastor Bhakta, Elder Suk, Elder Mon, and seven deacons are the key leaders at the Columbus church. God has been gracious enough to extend our satellite church in the eastern part of Columbus into smaller cities like Reynoldsburg, Blacklick, and Pataskala. 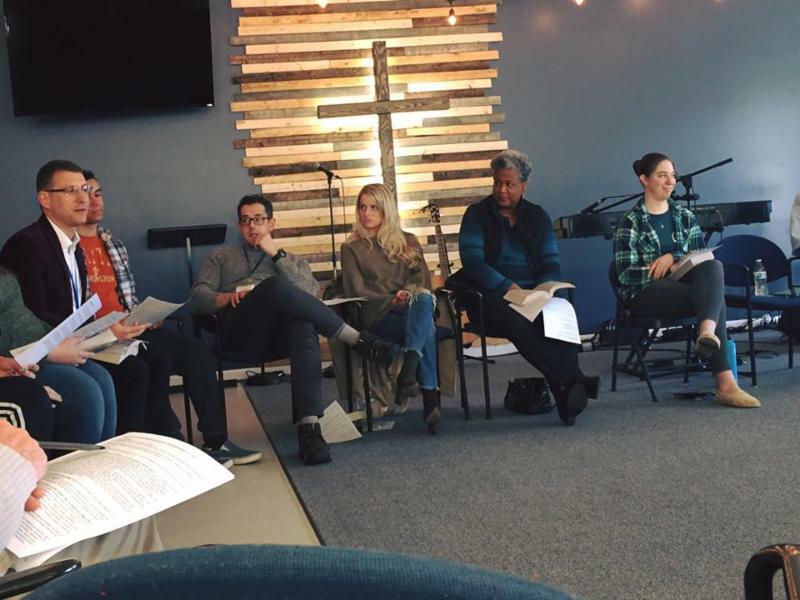 It has been almost a month since we started meeting in the rented space of East Pointe Christian Church in Blacklick. This space was made available by the help of Dr. Wayne Evans and his daughter. We are in one room for the worship service for two hours after 2pm. There is no space to store our guitar, harmonium (donated by Dr. Tom Crawford), and a Nepali drum, so we carry those instruments back and forth along with a projector and a laptop. We do not have a sound system yet. We chose these parts of the city because our people are building houses in those locations. We have a separate bank account for the church now. We have started youth fellowship every Saturday afternoon where twelve youth gather for Bible study, prayer, and singing. We have a very warm house fellowship every Saturday evening where we move from family to family to eat food with the family. There are a number of elderly men and women who are ailing and need transportation on Saturday and Sunday. Pastor Wayne Downing (Goshen Friends Church) donated a 15-passenger Dodge van to use for transportation. Pastors Mike Dennis (Riverbend Friends), Samuel Huang (Kent Chinese), and Brian Donahue (Jackson Friends) attended Exponential in Orlando, Florida in February/March. This conference is the largest and most influential church planting conference in the world. They were able to hear speakers including Andy Stanley, Alan Hirsch, Dave Ferguson, and more. Featuring incredible times of worship, dynamic and nationally known main session speakers, as well as relevant and diverse workshops from experts in church planting and multiplication - this conference exposed these members of the Multiplication Team to leading, fresh, time-tested strategies and principles of healthy multiplication. They were greatly encouraged by other church planters and network leaders who are doing church planting very well. These men returned from Orlando feeling refreshed, better equipped, and more passionate about the move of God that is already stirring within EFC-ER's new efforts for multiplication. Pastor Maureen Charles (member of Jackson Friends Church) is currently holding services on Sunday afternoons in the lower level of her home in Canton, OH. This house church came out of Lighthouse Ministries of Canton, which Jackson Friends Church supported in the past. They are in the process of renovating the lower level of Pastor Maureen's home where the church is meeting. This summer they plan to canvas the neighborhood to help spread the word and personally invite people to attend. The Multiplication Team will meet April 18-20 at the Evangelical Friends Headquarters in Canton, OH. 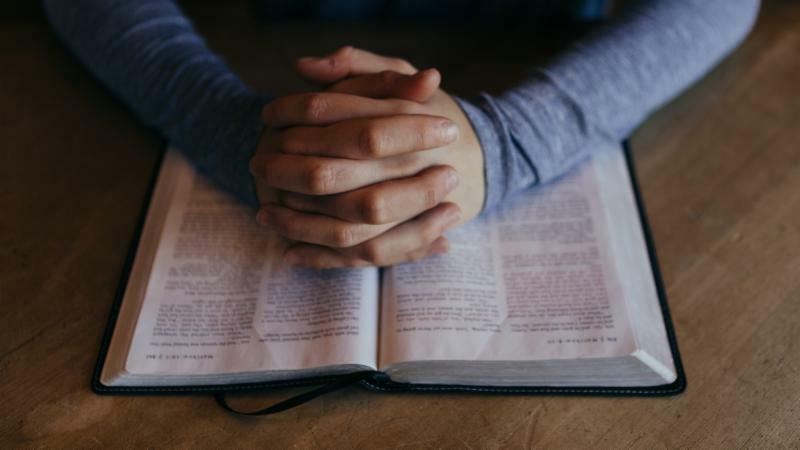 We ask that you keep these meetings in prayer. Pray that God gives us clear vision and discernment for what His will is for multiplication. The team will also meet together for prayer and worship on Thursday night.